This Limited Edition Poster Art Print has been produced from an original oil painting by Patrick J Killian. 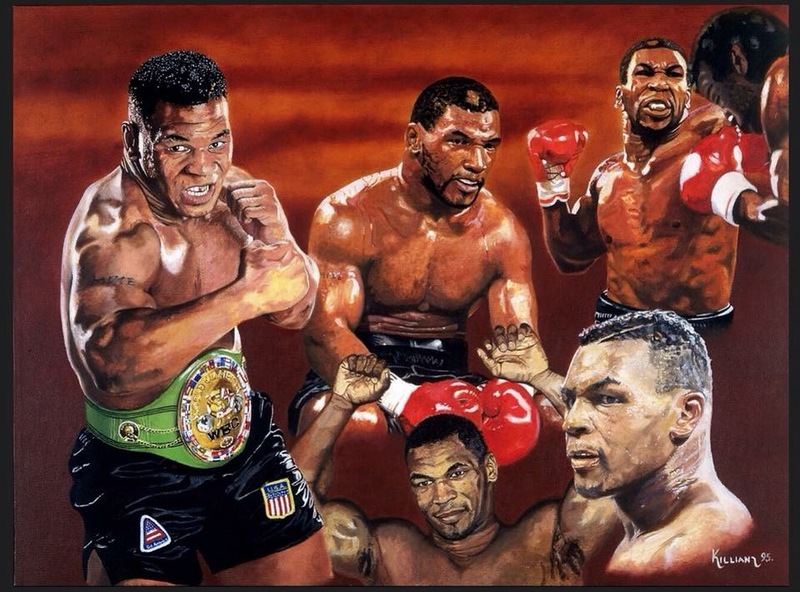 Tyson swept through the heavyweights of the mid 1980's with ferocious intent. In 1986 aged only 20, he became the youngest heavyweight champion in history, when he knocked out the WBC title holder Trevor Berbick. Disposing of the WBA and IBF title holders in turn, he met Michael Spinks, the only serious challenger to the crown and destroyed him in 91 seconds. 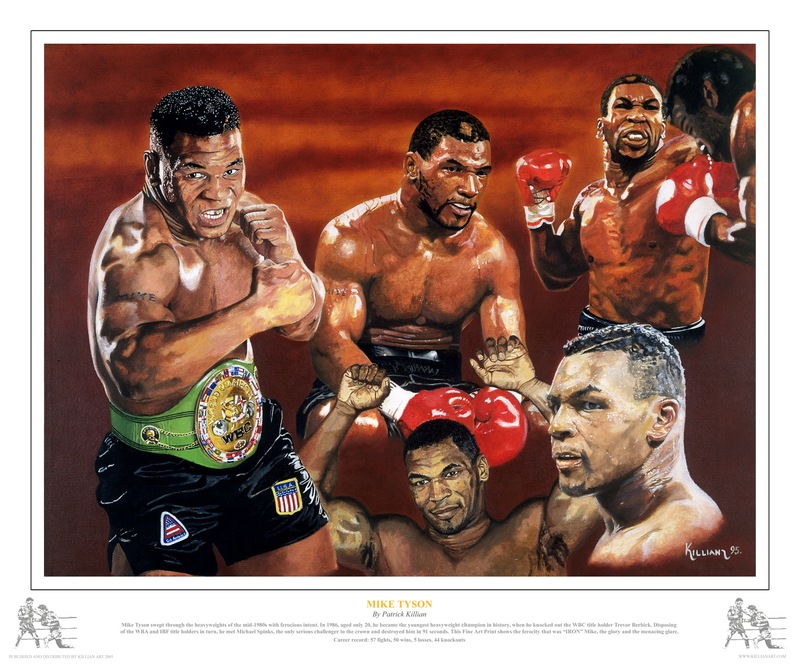 This Print shows the ferocity that was ''IRON'' Mike, the glory and the menacing glare.